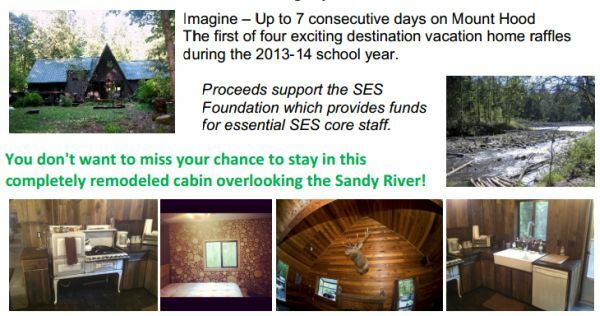 Where in the world might you win a vacation?Â Imagine â€“ Up to 7 consecutive days on Mount Hood–the first of four exciting destination vacation home raffles during the 2013-14 school year.Â You don’t want to miss your chance to stay in thisÂ completely remodeled cabin overlooking the Sandy River! Ready to buy your raffle tickets? Fill out the form below or stop at the table at school M/W/F mornings until October 25th.